As a main dish (with rice) the quantities below serve one. As a side dish it would serve 2. From Vegetable Literacy by Deborah Madison, a recent gift which has a lot of recipes I want to try! Heat the oil and add the onion, fennel seeds, thyme, and saffron. Cook for a couple of minutes. 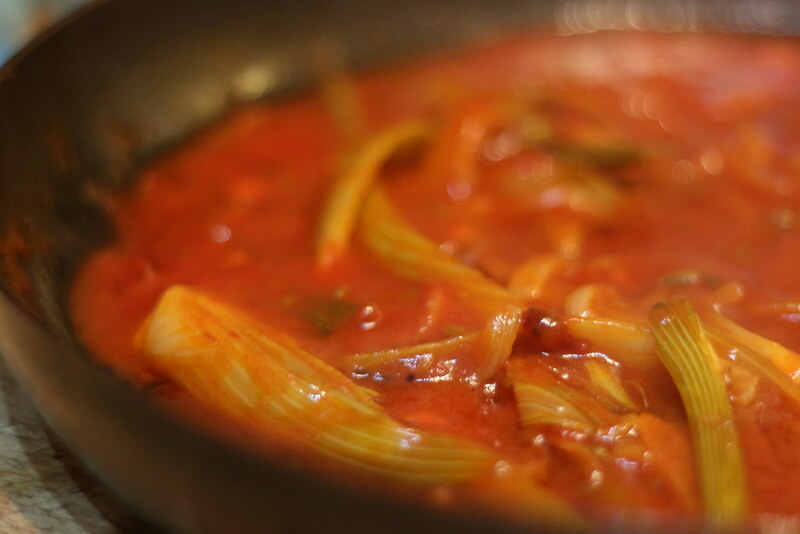 Add the fennel and cook until golden, stirring occasionally. Add the garlic, tomato paste, stock, and salt. Stir, cover, and simmer for 15 mins.